Want to protect your camera from being exposed or prevent scratches? Well if your budget is limited and you want to look stylish in a way you can have this camera pouch for PhP 150.00 at cdrking. This one is perfect for your MP3 or MP4 players, iPod, digital cameras and other gadgets or accessories. I've posted one of my fave colors here but there are other designs as well. 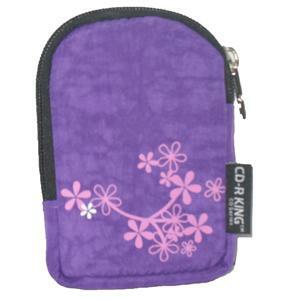 Most importantly this pouch is not only convenient and soft but durable as well. It's getting value for your money. There are lots of supplements for all our health needs and I can say I’m really amazed at how they grow in numbers. Left and right I see supplements for healthy brain, memory, for the eyes, liver, bones and every part of our body which needs supplements for health. I also heard from my friend about http://www.testosteronesupplements.org/methyl-1-d/ which can promotes muscle mass and extra strength. I’m also taking iron supplements every time I have my monthly period because I feel that I need extra iron for endurance and strength in working.